Worrying takes up an awful lot of energy, but it does absolutely nothing to protect you from what you are afraid of. When it comes to online fraud, specific actions are obviously far more effective to keep your identity and personal information safe from would-be hackers; this is increasingly important as financial fraud continues to get more sophisticated. 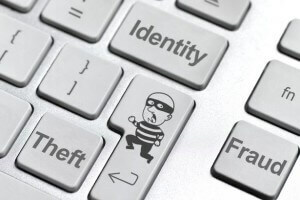 “While being worried about being a victim of online fraud is good on one hand because it means that you are aware of the threats, concern isn’t going to keep those fraudsters at bay. Empower yourself by adopting habits on an ongoing basis that will keep you safe,” says Jeff Schwartz, executive director, Consolidated Credit Counseling Services of Canada. “Be aware that striking at an emotional level is part of the fraudster’s plan. They take advantage of emotions like fear and excitement to get you to divulge information. By having a cooler head and using a more pragmatic approach towards online fraud protection you remove fraudster’s leverage,” says Schwartz. Fear and excitement can be compelling reasons to take action; for instance, if a fraudster contacts you, posing as an official for the government, financial institution or for law enforcement saying that there is a situation that requires you to reveal your financial and/or personal information right away, you may jump into action fearing that you are somehow in trouble. Take a step back if you receive an email or phone call in this vein. Follow up with a phone call to the agency in question to verify the validity of the claim before you reveal anything. Similarly, don’t fall for the “contest.” Fraudsters take advantage of the excitement of having won cash or prizes to get you to dish out your personal info. If you haven’t entered any contests, you didn’t win anything. Use the same approach as above and follow up with a phone call to verify the truth. Get in the habit of checking online credit and bank statements often. 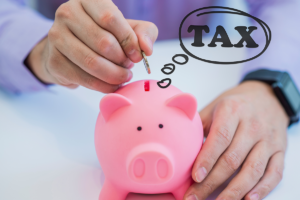 While you may be eligible to have unauthorized charges covered by your financial institution, the sooner you identify discrepancies, the better. You’ll be able to close accounts quickly to prevent further fraud and it can help you have a more specific timeline to determine when and where you got hacked, which can be helpful for preventing future incidents. Seniors are particularly vulnerable to financial fraud because in many cases they are isolated and less educated as to how fraudsters operate. Make sure that your elderly family members are surrounded with trustworthy people who demonstrably have their best interests at heart. Talk regularly with your family member to remind them not to reveal PIN‘s or other financial information. They shouldn’t leave cash, credit cards or cheques lying around; they should never sign any documents without consulting with you first. Have you or someone you love been a victim of financial fraud? Do you need help re-establishing credit? Don’t wait any longer. Call us at 1-888-294-3130 or visit our free online debt analysis.